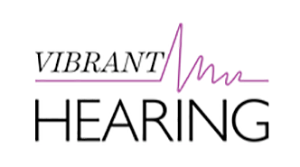 Vibrant Hearing Centre is an Independent hearing aid centre in Newcastle Upon Tyne that provides the best and latest hearing aids and clinical hearing care. The centre is owned and run by Brenda Quinn Hays. She combines the latest and best hearing solutions with a true commitment to customer service. She will only provide the best hearing aids from the world's best hearing aid brands backed up with outstanding aftercare. As an independent professional, she is able to give completely impartial advice. Brenda has been qualified since 2006 and since then has worked across the Tyne And Wear Area. She purchased both Coastal Hearing and Northumbria Hearing and she is the largest Independent hearing aid business in the Northeast. She is also the only qualified Lyric hearing aid provider in the Northeast. We have known Brenda for many years and her commitment to her Customers is obvious to see. She is committed to using the latest audiological practices and offering exceptionally high levels of customer care. Brenda really is possessed of great empathy, compassion and commitment to offering outstanding service, products and customer care. It is obvious from the words of her customers that she delivers exactly what she promises in a friendly and warm way. We offer safe, comfortable earwax removal by microsuction or irrigation in our hearing aid centre in Newcastle Upon Tyne. You pick your own service, no mess no fuss microsuction? We provide comprehensive hearing tests using the very best equipment available. This allows us to achieve the best results which means we can offer the right hearing solution for you. We offer the very best hearing aids from world leading hearing aid brands at our hearing aid centre in Newcastle. We only provide the very latest devices available and we have access to all of the top hearing aid manufacturers. Truly invisible hearing aids, wear them and forget them, all day every day until we take them out months later. The Phonak Lyric in Newcastle. Brenda Quinn-Hays is a registered Hearing Aid Audiologist and Hearing Aid Dispenser who qualified in 2006. Since then she has been providing hearing aids and hearing care across Tyne And Wear.